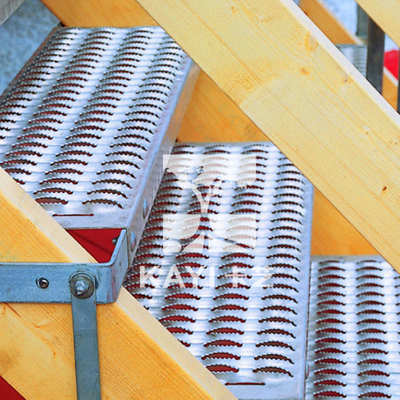 Perforated Stair Steps - Buy Perforated Stair Steps Product on Hebei KAYI Building Material Technology Co.,Ltd. One of the many uses of perforated metal panels involves stair treads and metal stair risers for sturdier, safer stairways in homes and buildings. 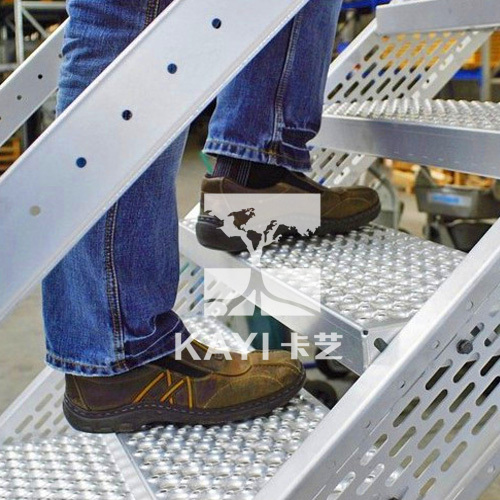 KAYI perforated metal stair risers can be manufactured in a variety of patterns that complement a building’s design and provide a dash of modern style to stairways. We offer stair treads and risers in various patterns of perforations, including triangles, rectangles, circles, and squares. 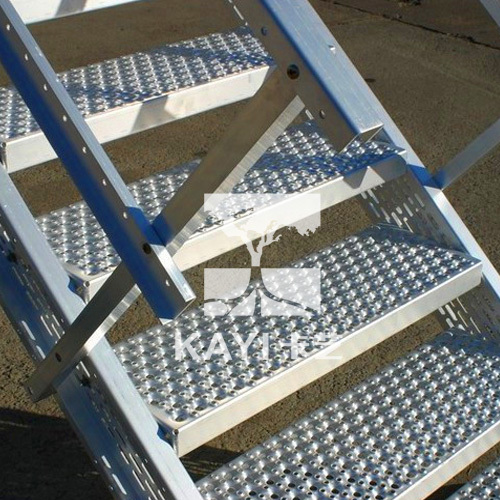 Metal stair treads provide better traction on stairways and are more easily cleaned or polished than treads of other materials. Perforated metal stair risers are incredibly strong and provide support for the stairway while matching the style of the surrounding environment. Metal stair risers and treads can be used in the interior or exterior of buildings as well, allowing for a greater degree of design flexibility.